The year 2015 is almost over; time to look back and reflect on another 365 days of football and football writing. A review. The topics of this year were most certainly FIFA’s collapse in late May and revelations about corruption at the DFB, Germany’s FA in securing the World Cup 2006 in October/November. These were surely hot topics as they regard every football fan. Besides these criminal machinations revealed we had three great finals to watch and savour. In the Champions League Barcelona once more demonstrated why they are a class of their own and beat Juventus 3-1 in Berlin. The Copa América added another sad chapter to Argentina’s final nightmare. 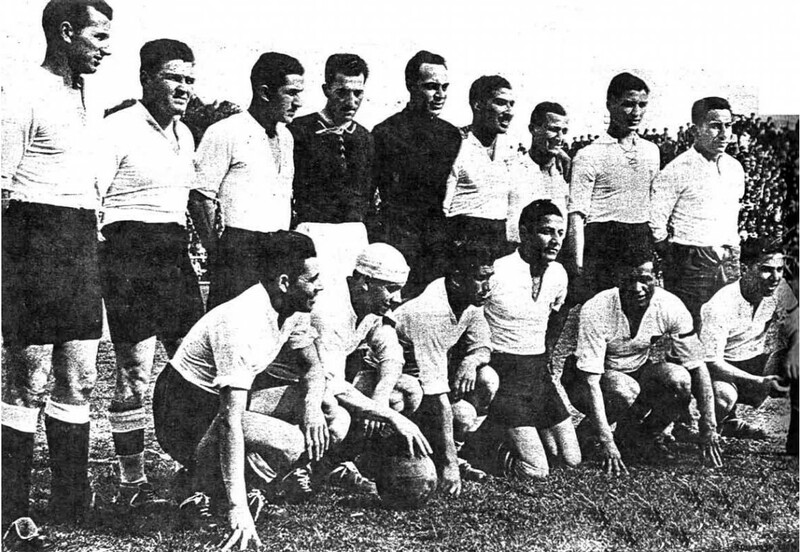 Despite being the better team for most of the game, the hosts Chile won the tournament on penalties. It was their first triumph in this tournament. Even for England supporters there was reason to cheer as their women beat Germany 1-0 in the third place play-off in Canada. The result marked the best achievement for any England national team since Italia 90 when England were beaten by West-Germany on penalties and subsequently finished fourth overall. This year also saw two of my favourite teams achieving promotion. In Germany FC Magdeburg won their promotion play-off against Kickers Offenbach and play in the third division where they started this season with verve and surprised many, possibly even themselves. Not only that they also made headlines with their fantastic fans. Because it is so awesome, once more here is a clip from the game Magdeburg against Preussen Münster, which the home side won comfortably 3-0. In Paris or just outside Paris, Red Star FC were run away winners of league 3 in France in May. While the promotion was deserved, the ensuing party was a huge disappointment as this piece highlights. Starting the new season with a new coach and many new players, Les Audonniens started shaky into the new season but soon things began to gel and they are now in the upper half of the table with good chances to go even one tier higher up, i.e. Ligue 1! The Good, The Bad, The Best of 2015? Without a doubt 2015 has seen a lot of excellent football writing once more. However, before this turns into a eulogy of my own writing, i want to know what my readers have read and enjoyed most or least this year. Also, what they did not like to read. The good, the bad, the best. Therefore, scan your browser history, work the little grey cells and leave a comment about what you have read this year. Tell me, what you liked most and liked the least.